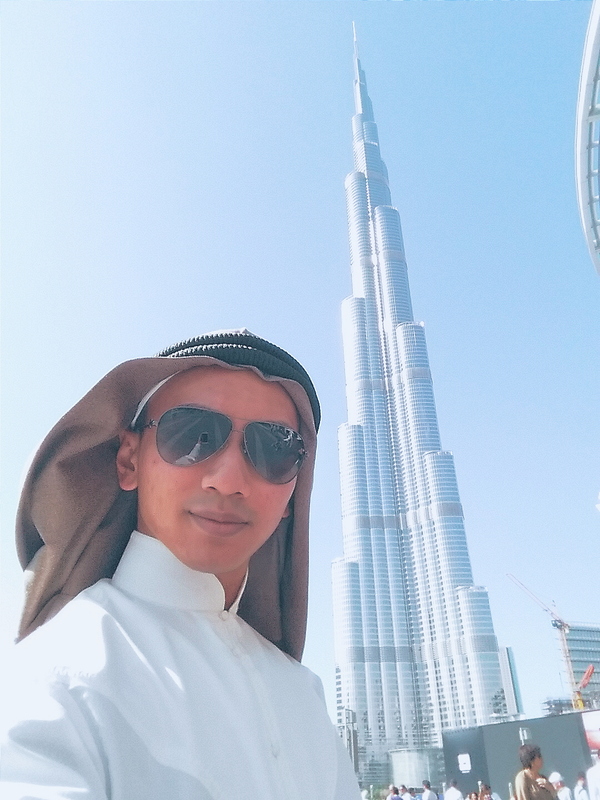 My journey in Dubai wasn't all about concrete and steel; nor was it about shopping. Part of it was living the life of the bedouin - the traditional arab nomads. It was one of the most exciting part of my trip because it's not everyday I get to stand in the middle of something so vast. It blew my mind away on how little I am in this big, big world. Like the ocean, the desert is actually a very, very dangerous place. That's where weird animals like giant scorpions come out to life like the ones you see in Clash of Titans (only kidding!) and desert snakes come to terrorize your life (that's true). All being pun, dangers at the desert are real. The sand is so soft that without protection you lose your kidneys if it goes into your body, rattle snakes glide faster than you running on the powder soft sand, and temperatures are extreme day and night. That explains why traditional arab bedouin wear involves a lot of thick cover ups from head to toe; for self protection. 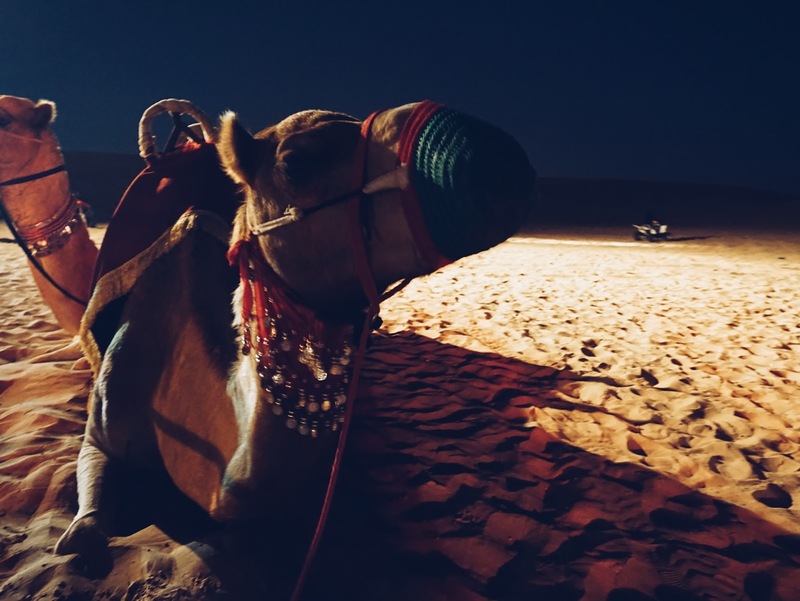 In Dubai, the desert safari tour is a must-go because there, you get to have a first hand experience of the desert, experience the belly dancing (watch, not perform! ), arab food and for some shisha if you're keen. If you're lucky, you get to make new friends! There were two timings to choose from, day or night depending on your preference. For me I'd prefer day because the sun is up, so it's really good to take photos and when the light reflects from the sand it makes it more beautiful but that day was so unfortunate and I was so disappointed! Almost cried, but I am a believer of what happened has its reason. The driver arrived at our pick up location on time in the afternoon and we were really excited about it; because in Dubai, services are notoriously known to be slow (and sometimes, rude) and there's nothing much you can do about it if it happens. The journey started at about 2pm, and we were supposed to reach within an hour or so; but thanks to the massive traffic jam on a Saturday; which is Sunday equivalent in their working calendar, we were terribly late. I was really, really pissed because I really wanted to enjoy desert safari under the sun because it's winter, it's not so hot, it's actually a perfect time to be under the sun, but I couldn't. I was in the traffic for 4 hours. Like, how can that be? Roads there are so wide that my highway back home feels like a street and we pay huge amount of taxes for it. Here in tax free country with so many freeways we were still stuck? I even managed to catch up on my lost sleep from previous days! I even asked myself, like is it usually this bad? To be stuck in the traffic for like half a day? Turns out, there was a high-speed car crash on the highway. It was so major that the car was crushed like a metal ball. They even had to use police cars to cordon off the area. So can you imagine on a six lane highway, three lanes had to be cordoned off. That's like half of the lanes were cut off creating a bottleneck. That's the road in Dubai people, they have one of the highest accidents rate in the world per head of population; a record I don't think she wants to own. Although unhappy at that time, I was so relieved to arrive safely! The first thing we did once we set foot on the desert was the dune bashing. If I had a heavy lunch right before the ride, I'd probably dirty the car - but it's quite hard to get me dizzy in this kind of things. As an adrenaline junkie, I thrive on these kind of rides. One can easily make a protein shake in that car without literally shaking it with your hands! What made it more interesting was the music that was played in the car was so upbeat you can shake to it without being judged since it's already shaky in that car! The dune bashing is like a phase that you have to go through to get to the heart of the desert where all the fun begins. Dune bashing is just less than half the fun. I think if you would like to skip dune bashing there's a way, but that would be so boring! When we arrived at the more happening part of the desert, there were many other things that you can try which was pretty centralized so I rode the camel first! It's not the same as riding a horse! Honestly I find horses are smoother but camel offers a higher vantage point. Maybe due to its longer legs, it feels a little unstable, like it can topple anytime. Probably my camel was also too tired waiting for me all day long because I don't think I am that heavy to begin with! Ladies and gentlemen, if you would like to ride on this, please wear something suitable for you to stretch your legs wide. No room for skirts. Just look at my thobe. Thank God for those jeans! I love animals which was why I was exhilarated for the desert safari tour. I get to touch, see and ride on the camel and get my hands on the UAE's national bird, the falcon. The princely falcon is so cute! Gave it a peck before I go. Hehe! We did all these before the show which was the finale for the night. There were food stalls for you to buy some food to revel in while watching the exotic performances. I definitely love my bedouin journey although I did not get to enjoy it under the sun. The next time I'm going to the desert though, I am going by an Apache. Cuts down on the traveling time! Thank you to my dad's friend, Mr Ernest for helping me out with the arrangement! Appreciate it loads! Hugs!